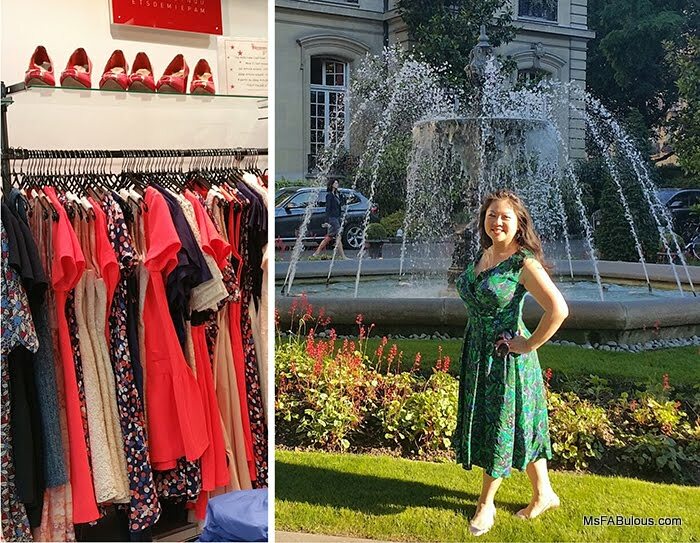 This is my 2016 update of Ms. Fabulous' Paris shopping guide. I was lucky enough to be in the city for the "Soldes" season (sales month). Major shopping chains all over the city were on second markdowns before the fall fashion collections came in. However, shopping for clothes as a curvy girl in Paris is not easy. I was frustrated on my first few days of shopping as most of the major French chains catered to flat-chested ladies. Then I discovered Heroines. They love color and they love prints. Their retro silhouettes were more pin-up girl than waif (yay!) Their dresses flattered the hourglass figure. Their designer is based in France and creates the most wonderful witty, quirky prints. The collection is produced in London. I fell in love with this jungle print dress that when you look closely, you'll see a woman who looks a bit like me hiding in the trees. If you are interested in antiques or vintage in any way, you must make a trip to the Paris Flea Markets or the Marche Aux Puces St. Ouen. 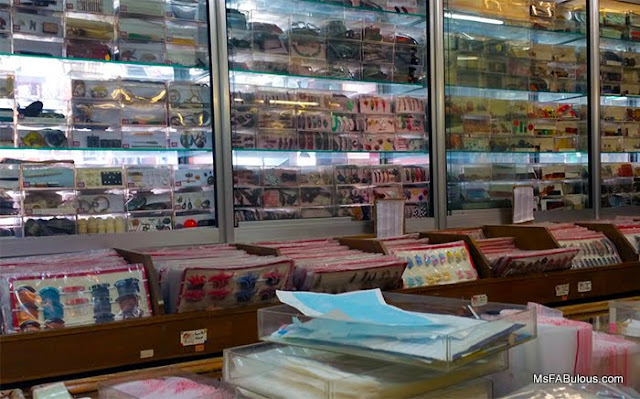 It is a historical flea market that is made up of about 15 markets for different merchandise categories. You'll have to review their website to figure out what you want and the history of it. The one I liked was the Marche Dauphine. Here is where I found Daniel Et Lili. It is a fashion designer's dream. It has a huge selection of vintage trims, buttons, jewelry, glasses, vintage fashion magazines that date as far back as a century old. Stuff you would normally find in a fashion museum. Prices are reasonable. I was on a mission to buy antique millinery irons like the ones found at M&S Schmalberg. After asking every merchant for several blocks, they led me here. I bought two leaf irons. They gave me a price break for buying two. Bring cash! No credit cards. 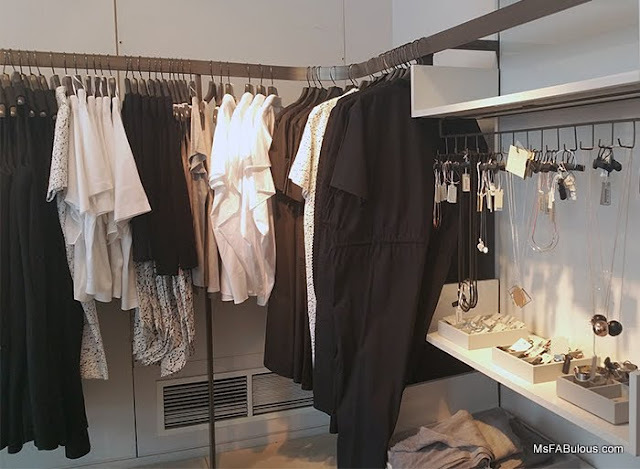 The concept store has been a big trend in fashionable retail. COS (Collection of Style) has an upscale minimalist designer look. The posh architectural vibe and merchandising has that laid back European chic. You would never think it was a division of H&M. The prices and quality are notably higher. Think of it as the fashion equivalent of what Pret-a-Manger is to McDonald's. It looks like Barney's and Opening Ceremony had a lovechild. Ex-pats have bemoaned the fact that this chain doesn't ship to the U.S. but that has recently changed. I picked up a slinky knit tunic dress and printed cotton jacket dress for the fall. What are your favorite spots for Paris shopping? Let me know!